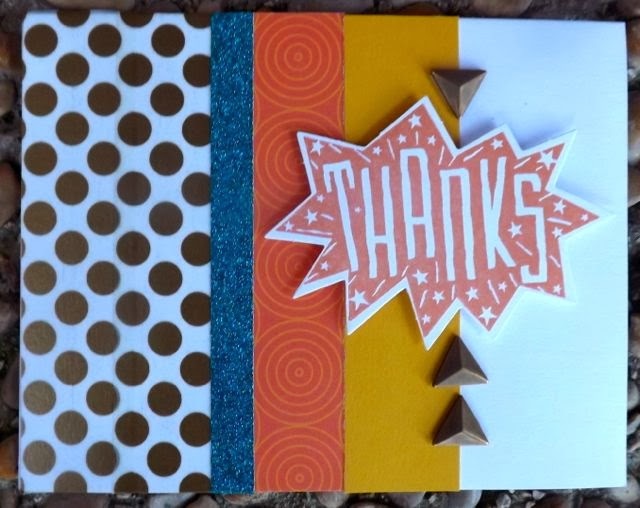 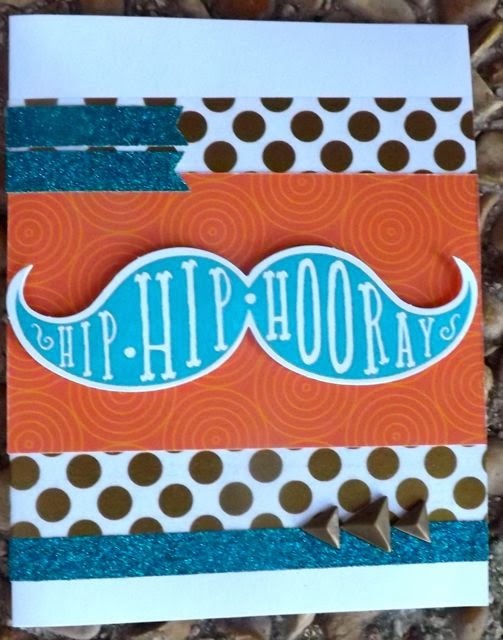 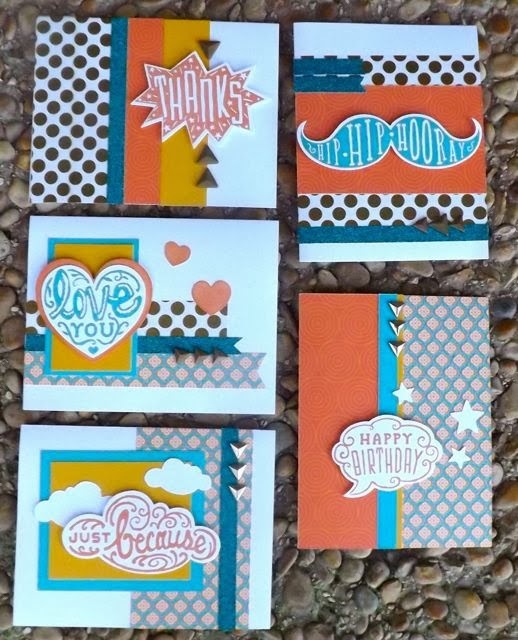 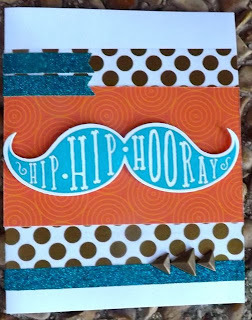 Isn't this a fun card kit! 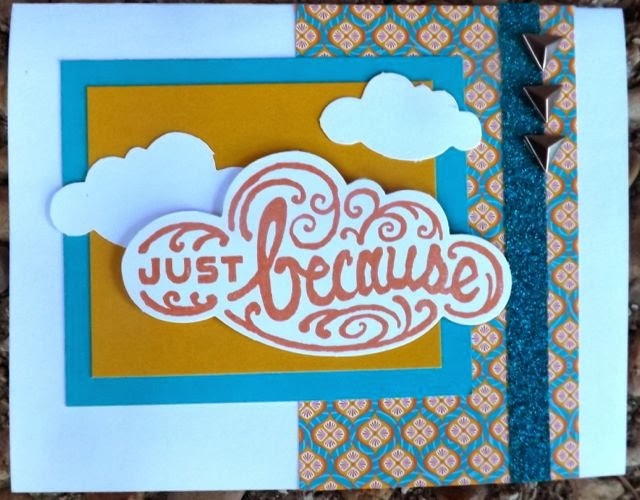 It is only available this month for $15 with a $35 qualifying purchase! Also this puts you right at the point where you can purchase the Stamp of the Month for $5! 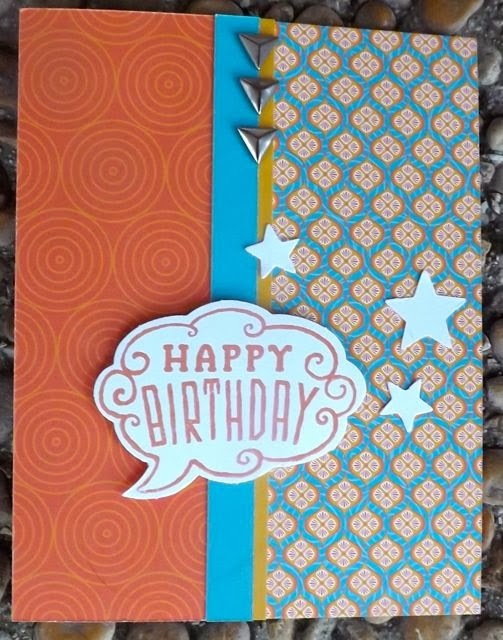 Sounds like a lot for 10 cards right? 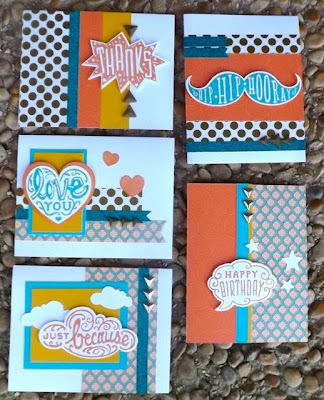 Just the stamp set alone is worth $17.95 and the Teal Shimmer Trim ($4.95) and Durables Triangle Studs ($3.95) and Gold Polka Dot Washi Tape ($7.95) are previews from the new Idea Book coming out next month! 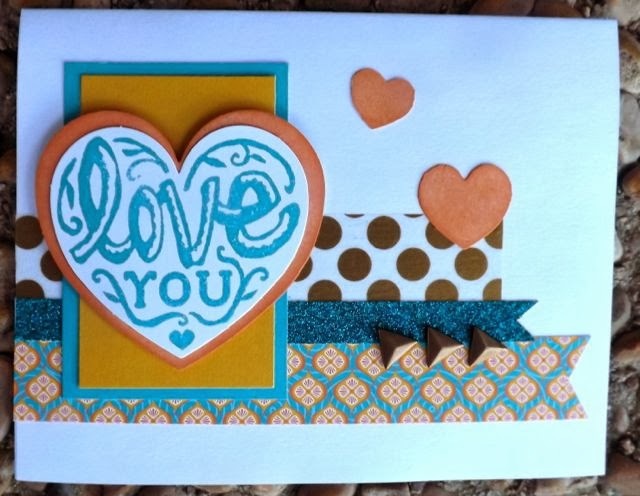 Above is one of each card that you will make two of! 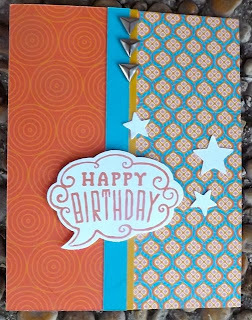 Below is a close up of each card!